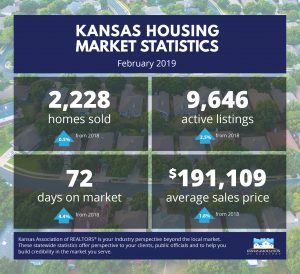 Home sales in Kansas rose by 0.5 percent in February 2019 compared to the same period last year. National sales had a decrease with sales falling 1.8% over 2018. Home prices continue to increase across the state. The statewide average sale price in February was $191,109 a 1.8% increase compared to last year. Midwest prices rose 5.4% and US prices rose 3.6%. Mortgage rates continue to drop even lower. The national average commitment rate on 30-year conventional mortgage for the week ending March 22, 2019 was 4.28%. View Freddie Mac’s report. 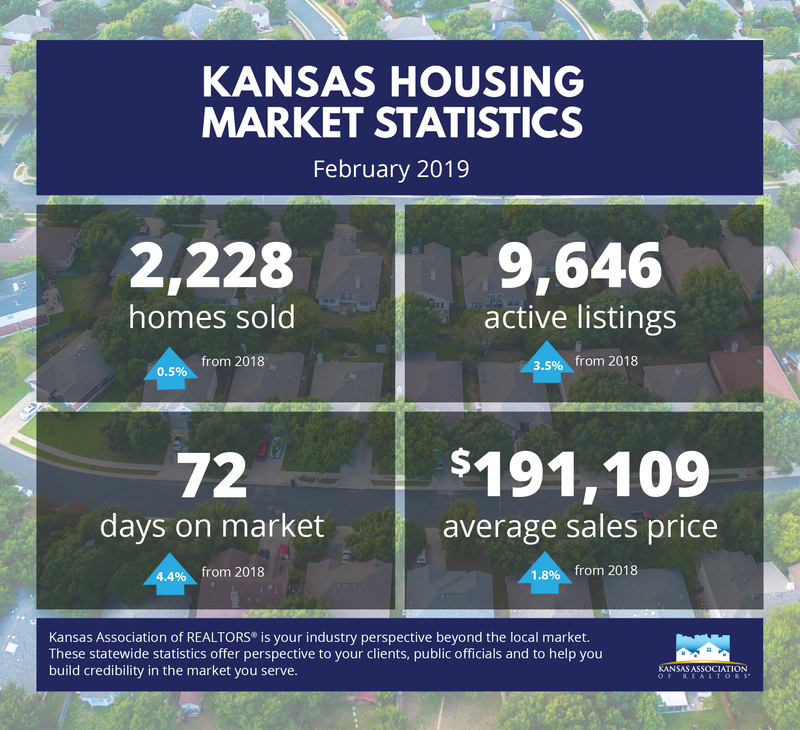 To view January stats, click here.